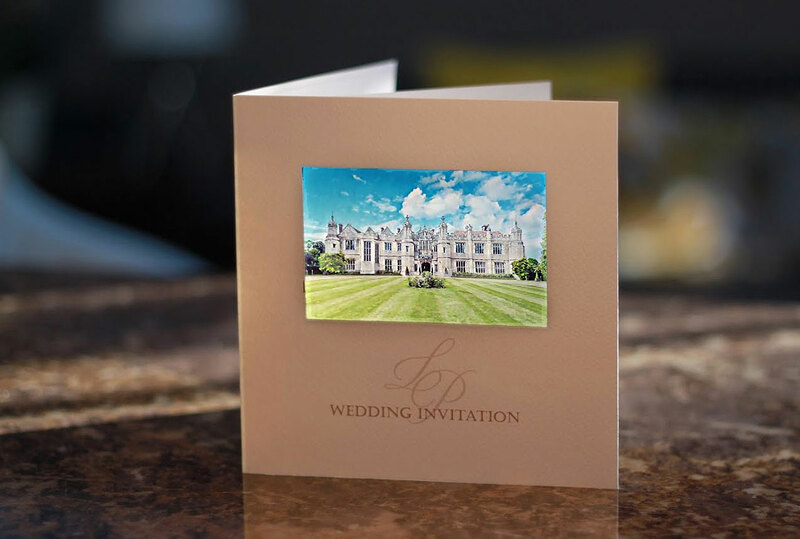 Lauren & Patrick had their wedding at the stunning Hengrave Hall and we were able to use a photo of the venue to create their beautiful wedding stationery. 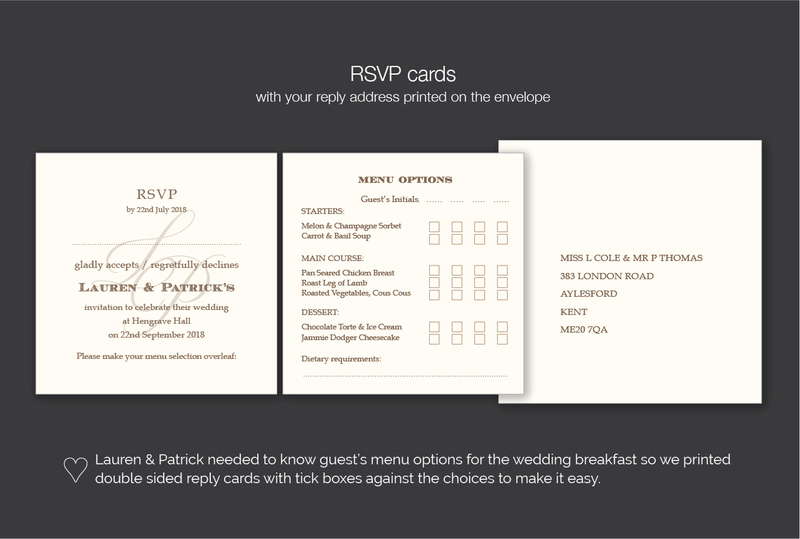 Guests had to pre-select their menu options in advance so we included these on the reverse of their reply cards. 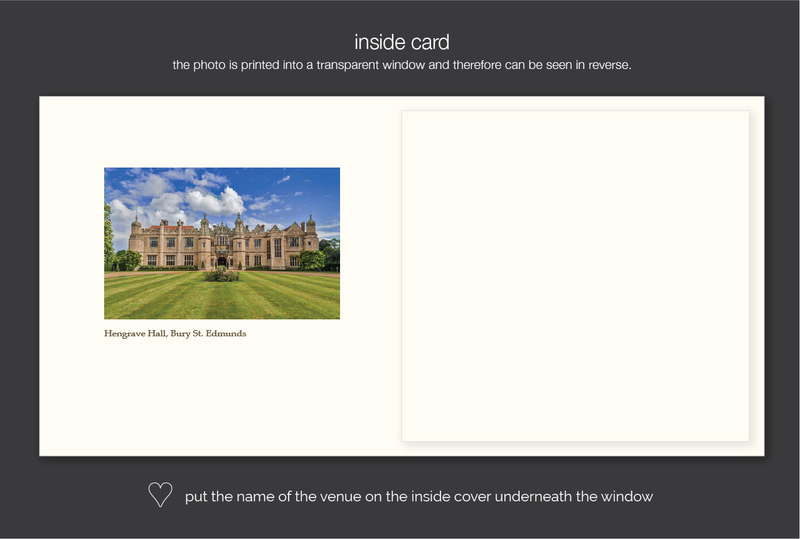 We also used a flat postcard format for their evening guests along with an illustration of the venue – a great idea if you don’t have the same budget for your evening guests! 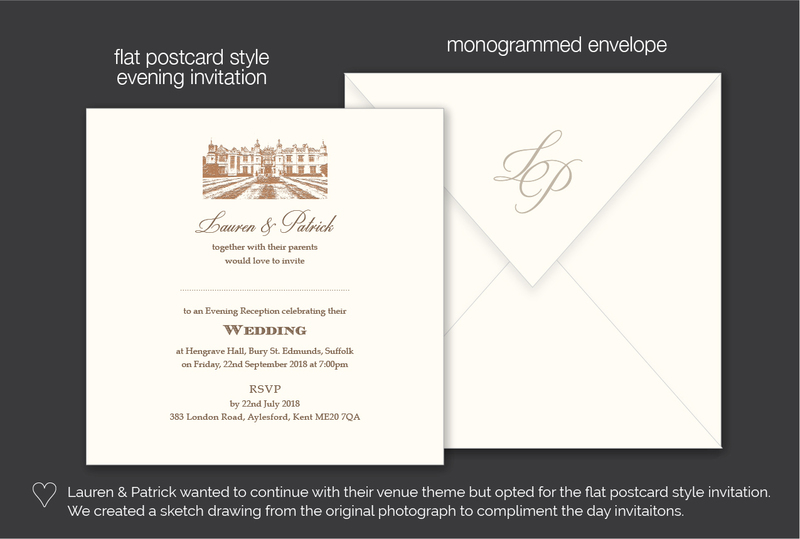 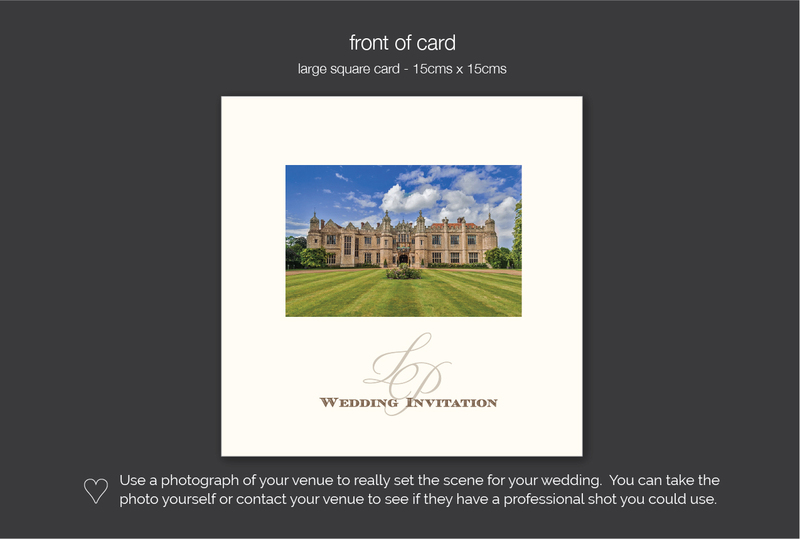 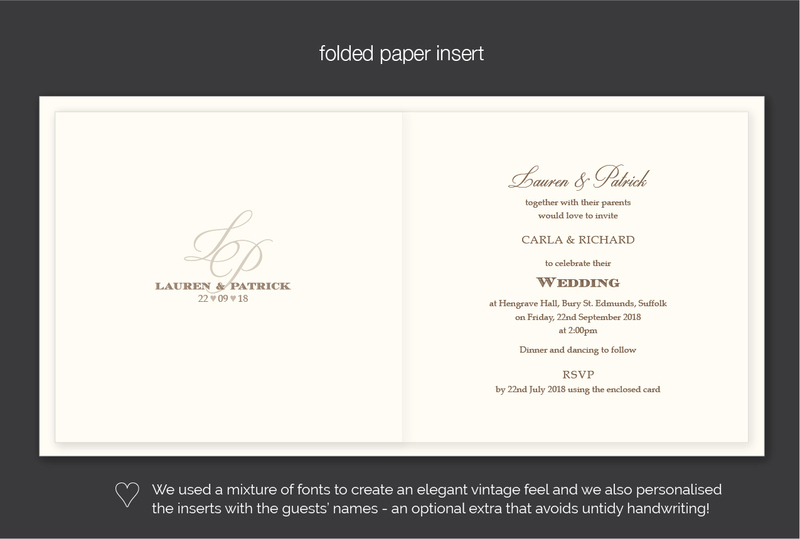 Just tell us you like the ‘wedding venue invitation’ if you would like to use any design details from this example.